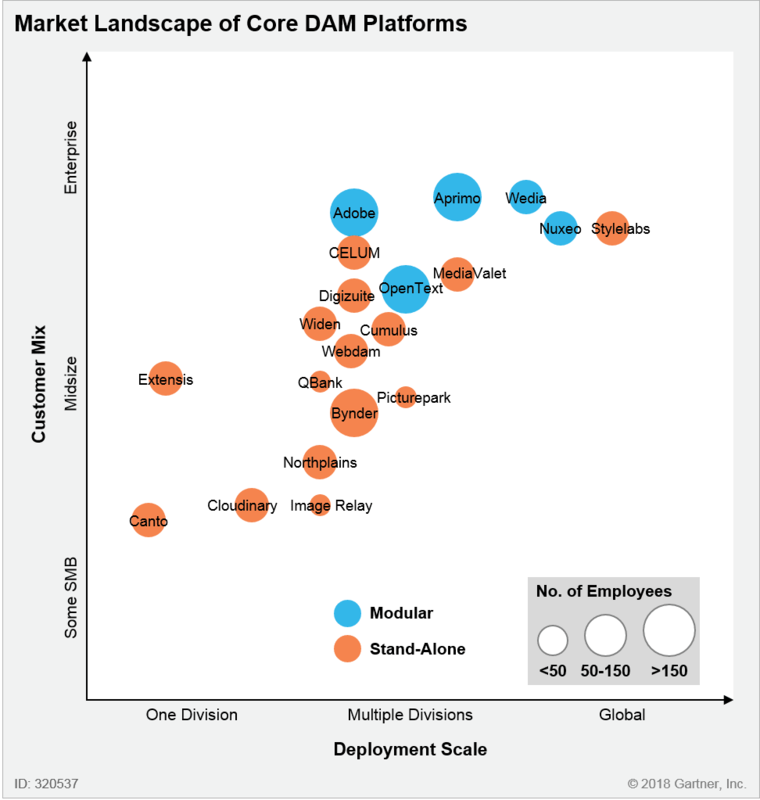 Use this Gartner Market Guide to help define your key DAM requirements and navigate a complex landscape. According to Gartner research, marketing leaders report allocating 7.4% of the marketing budget to content creation in 2017. Furthermore, marketers named content creation and management as their top two digital priorities for 2018 in a Gartner survey of marketing decision makers conducted at the end of 2017. Managing marketing assets and scaling content operations are top priorities for marketing leaders, which is driving increased investment in digital asset management platforms. Clearly define the digital asset management use cases you need to support. Solicit feedback from key business and technical user groups early and often. Navigate capability convergence. Determine whether a core DAM platform is suitable for your needs or another solution, like a content marketing platform, brand management suite or distributed marketing platform, is more appropriate. Assess shortlisted players based on technical and business fit, as well as user experience. Evaluate how deployment options, capabilities, and licensing models match your preferences and needs. Facing more convergence, marketing leaders must be discerning in their evaluation and selection of DAM solutions. Download this complimentary Gartner Market Guide to learn more! Gartner’s definition of digital asset management (DAM) includes capabilities for ingestion, storage, retrieval, collaboration, and life cycle management of rich-media assets, including text, graphics, images, videos, and audio.